I first met Tiffany McCullough at Cat Camp NYC earlier this year, but didn’t have much of a chance to chat with her until we saw each other again at CatCon. We only talked for a few minutes amid the (wonderful) craziness that is CatCon, but I knew right then and there that I had met a kindred spirit, and that I wanted to introduce you to this amazing woman. Tiffanie is the Director of Trapking Humane Solutions, working with Sterling Davis to help the cats in their hometown Atlanta through TNR and adoption, and to bridge the gap in communication between black communities and animal rescue and local shelters. Tiffanie is a Virginia native who has always loved animals. After getting her degree in business marketing, she spent eight years in corporate America, until one day, she had had enough of the stress and the mundane treadmill of the business world. She quit. “I flat out said forget this and walked out on my corporate job and never looked back,” writes Tiffanie on the Trapking website. “That night, once I actually had time to realize what I had done , I went online and saw a job for a cat attendant at Lifeline Animal Project.” She got called for an interview the next day. “I sat in a cat room in heels and a business skirt, with cats climbing all around me and purring.” She was hired four days later. I wanted to learn more about Tiffany and her work, and I’m delighted to bring you this interview. How did you get started with Trapking and Sterling? I’ve known Sterling for years. He would let staff tag along on trapping sessions and that’s how I developed my love for TNR . I remember we were both working at the shelter. I was working the front desk at the clinic right before I was promoted to Owner Surrender Counselor. Sterling was the sole person doing TNR for the organization (a private shelter and two county shelters.) He would always talk about how there had to be a better way to spread awareness and to get more men and diversity involved with feral cats and TNR . As time went on, it went from casual talking to him really wanting to see the change. One day he came to my desk and said “Pika, I’m starting a nonprofit – I have to do it. I want to do something different to help these cats and I’m calling it TrapKing. I want you to be my director. You can help keep things running smoothly and you have the background knowledge.” I was super excited, of course, and it blossomed from there. My initial interest came when I was working at the shelter. I’ve worked in intake, the kennel, the feline department, the shelter clinic, and a private vet clinic (editor’s note: Tiffanie is Fear Free Certified.) I’ve seen multiple facets of how diet affects shelter animals. They are usually fed whatever is cost effective or donated. I saw how a lot of the animals had skin issues and allergy symptoms. When a shelter is stretched to the max on a budget, it can be hard to meet nutritional needs. It wasn’t until I began working at the private veterinary clinic in patient care that I was able to really be hands on and learn about food allergies, prescription diets and raw feeding. I noticed some of the owners would bring in freeze dried raw food or home made food for their pets who were boarding. A lot of them complained about how the prescribed diet wasn’t working. I looked at the back of a prescribed bag of food one day and was amazed at all of the corn, wheat gluten and other additives inside. My interest peaked from there. You are an advocate for raw feeding. 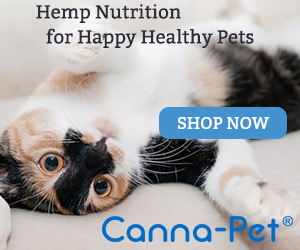 How did you come to understand that raw is the optimal diet for cats? Education and research. The best thing any owner can do is arm themselves with knowledge. I’m not saying don’t take the advice of your vet, however, preparing yourself for more healthier options is a win for the pet and the owner. I took a job at a specialty food pet store that is a huge advocate for raw feeding for pets. I went through several months of training, and meetings with representatives of some awesome raw food companies. The first thing I learned was that cats are obligate carnivores. Even the best kibble is still kibble. Not only can a raw diet improve digestion, the stool is greatly reduced in volume and odor, there is also better dental health and less shedding of the coat, which leads to fewer hairballs. I remember reading, and taking pages and pages of notes. It was like college all over again. I also met with a couple of veterinarians who advocate raw feeding. How do you approach counseling potential adopters or cat parents who have never heard of raw feeding? I encourage everyone to start slow. There are so many options in regards to raw feeding . Which is good, because cats are creatures of habit and change for them can be hard. I always try to give a little background on cats and how they function. For example: The amino acid taurine is exclusively found in animal-based proteins. Humans and dogs can easily synthesize it within their bodies with usually no problems. Cats, however have to get taurine from their diet. So what we feed our feline companions is super important. I talk to them about how taurine is critical for heart muscle function, fetal development, the immune system and vision. Salmon, red meat and poultry (especially organ meats) are great natural sources of taurine. You would be hard pressed to find a wild cat with a taurine deficiency. Most of the time, switching from kibble to raw should be fairly easy. However, factoring in lifestyle of the owner and the cat, thawing out frozen raw food may be a challenge. Freeze-dried raw (which may require re-hydrating) is a great way to add raw to the diet or to transition. Raw goat’s milk is another way to add a raw element. I’d like to note that I wouldn’t give kittens raw goat’s milk. Their systems are much too sensitive. If kittens can’t nurse, a commercial kitten milk replacement is ideal. Can you share some success stories you’ve had with raw food? You mentioned a cat named Lenny to me? Lenny!! Ahh, my heartbeat. Lenny was pulled by Sterling from a county shelter, where he was facing euthanasia because they deemed him too feral. We ended up taking him to a vet for a severe open gash and to be neutered. After two more surgeries, Lenny went into foster care, where he was a lovebug. When he was finally healed, he made his way to me. I noticed he had severe diarrhea. It was pretty bad. The kibble he had been eating was wreaking havoc on his system. I immediately got him some goat’s milk with turmeric and ginger to help with his tummy and to replenish lost moisture. I also started him on freeze dried raw chicken and salmon, which was 90% meat, organs and bone with 10% produce and supplements. Within 3 days, Lenny went from overbearing diarrhea (yikes) to solid stool that was small in size and had very little odor. The smaller stool was also a sign that he was absorbing a majority of the nutrients. He also really loves raw bone broth. Primal is his favorite brand of raw food. As days went, on his coat and overall health dramatically improved. He and I both decided to make it official, and I adopted him. Tell us about your first cat. My first cat was a calico named Nadia. I found her in the woods near my campus. I was 19 and in college at the time. She was malnourished and covered in fleas. I was so naive that I just gave her water, wet food and washed her with just a bar of soap. I kept her hidden in my dorm room. She thrived for about a month but was just so sickly. I remember taking my last bit of money and taking her to the vet because she had stopped eating. He told me she had a terribly infected abscess in her mouth, and was anemic. Her little body just couldn’t take it. I cried for days when she passed. I’ve thankfully learned so much more about cats since then. Just one. Lenny Katvitz – he is my eartipped renegade but he is pure love and let me tell you, he is quite the entertainer. He is so inquisitive and when he gets excited – especially at feeding time – he becomes a chatterbox. It’s the cutest!!! What is it like working with Sterling? For more information about Tiffanie, Sterling and Trap King Solutions and the amazing work they do, please visit https://trapkinghumane.org/. Feline Nutrition: Who Bears the Responsibility? This story is amazing! I am a cat lover as well. I never thought I would love a cat until my mom passed. My husband gave me a kitten to keep me company because I was so sad. I am an African American woman and I have trouble finding other African American women that like cats. I hear some women comment on how they hate cats and they can’t understand how people get them as a pet. So I don’t discuss my cats with anyone but the friends and family who knows I have them and don’t mind a great cat story. My cats are my world! I have friends that don’t visit me because of my cats. I respect their decision but it doesn’t change how I feel about my fur babies. This story was inspiring. Thank you. I love it. I love EVERYTHING about this!! Tiffanie, you are an inspiration. Thank you!!! I also work in cat rescue and am a huge advocate for feeding raw. I would love to learn more about feline nutrition and see those pages of notes you took!! Have you ever done a webinar or presentation to share your knowledge? I’d love that! Tiffanie is very inspiring doing what she loves instead of staying stuck in the corporate world. Ingrid, a very well written and absorbing profile of this team and Tiffanie. Great goals. I’m going to feed my diarrhea cat raw, I’m inspired by Lenny’s transformation. Thanks!